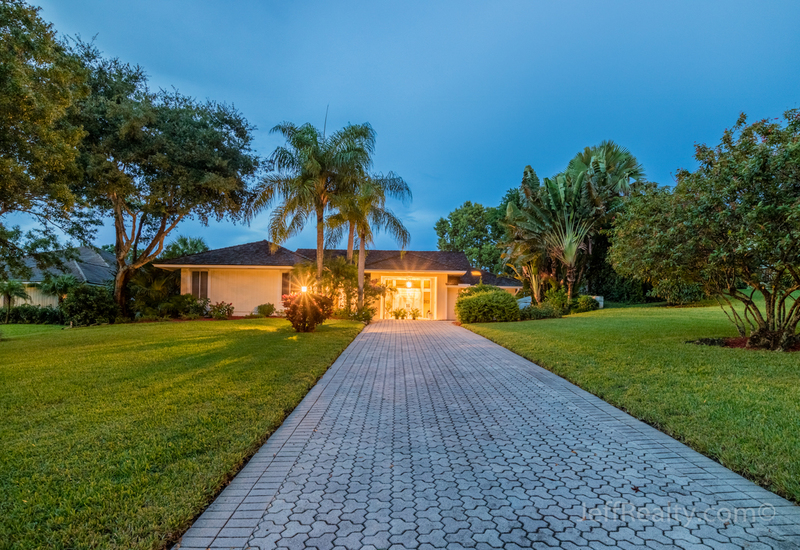 Beautiful, bright & open 3BR/3½BA + den, true Florida pool home surrounded by a large and private yard at 18158 SE Ridgeview Drive in the quiet, gated & exclusive community of River Ridge Homes For Sale in Tequesta Homes For Sale. Desirable features include an expansive open floorplan, vaulted volume ceilings throughout, engineered wood and carpeted flooring, large windows, skylights, sliding glass doors, recessed lighting, fireplace, and plantation shutters. The gourmet kitchen has custom wood cabinets, granite countertops, stainless steel appliances, and a tiled backsplash, while the master suite has patio access, dual closets, and a resort-style bath. 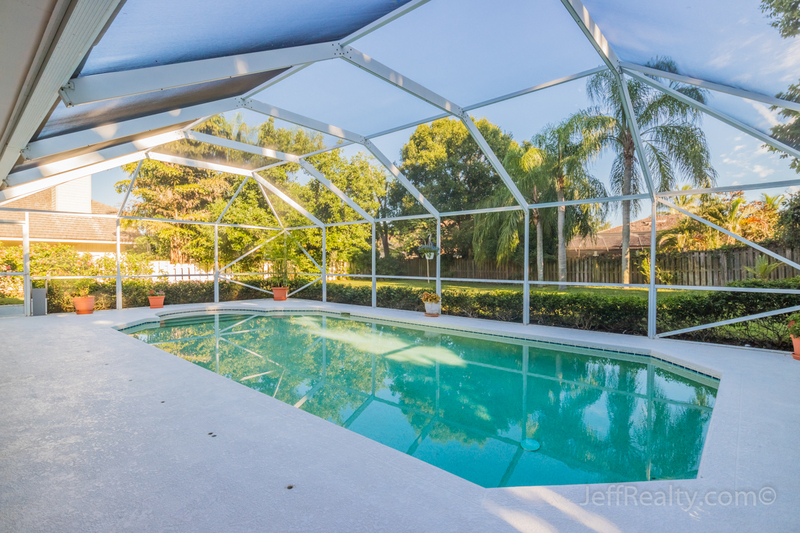 The huge pool/patio is screened-in and has a covered area for sitting and entertaining. It is surrounded by an oversized fenced-in yard, perfect for family activities and pets. 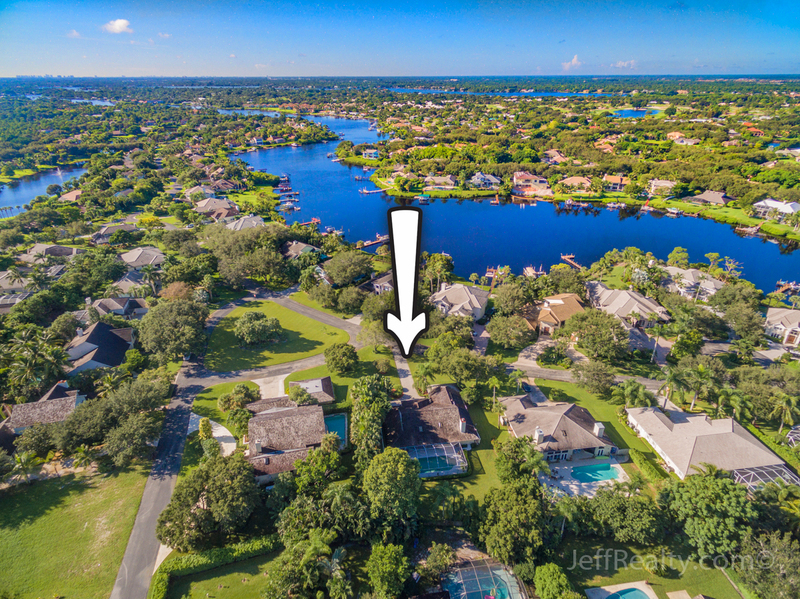 Posted in River Ridge, River Ridge homes, River Ridge homes for sale on October 17, 2016 at 8:00 am.